Robin “Rocky” Myers (pictured) may be innocent and intellectually disabled. His jury did not think he should be sentenced to die. Alabama intends to execute him anyway. Myers’ case is rife with legal issues, but he received no federal court review because his appellate lawyer abandoned him without notice, letting the filing deadline for challenging Myers’ conviction and death sentence expire. In a recent feature story in The Nation, reporter Ashoka Mukpo tells the story of how the intellectually-disabled Myers was convicted and sentenced to death for the 1991 murder of his neighbor, Ludie Mae Tucker, even after his jury recommended 9-3 that he should be sentenced to life. Other evidence also suggested Myers is innocent. Before she died, Tucker was able to describe her assailant to the police and the clothing he was wearing. Although Tucker knew Myers, she did not identify him as her attacker. Multiple witnesses testified at Myers’ s trial that he had been wearing a dark shirt the night of the murder, not the light shirt described by Tucker. No physical evidence linked Myers to the murder and none of the fingerprints found at the crime scene matched his. Mae Puckett, one of the jurors in Myers’ case, said she and a few other jurors were not convinced of his guilt but felt pressured by the majority of the jury to vote for guilt. One white juror later spoke to Myers’ defense team, referring to him as a “thug” and describing him with a racial slur. “I never thought for a moment that he did it,” Puckett said, but she and the other jurors who doubted his guilt agreed to vote for convict if the jury would recommend a life sentence. Nonetheless, exercising a since-repealed power to override a jury’s vote for life, the trial judge sentenced Myers to death. After Myers was sentenced to death, a Tennessee attorney, Earle J. Schwarz, agreed to represent him pro bono in his post-conviction appeals. But when the state courts denied Myers’ appeal, Schwarz never told Myers and never filed a federal habeas corpus petition, causing Myers to miss the federal filing deadline. “Mr. Schwarz decided that he could no longer represent Rocky, but unfortunately he just sat in a room and said that quietly to himself,” said Kacey Keeton, who now represented Myers. “He didn’t tell Rocky, he didn’t call the courts and let them know, he didn’t tell the prosecutors, he just quit doing anything.” On behalf of Myers, Keeton is now seeking clemency from Governor Kay Ivey, Myers’ last chance to avoid execution. 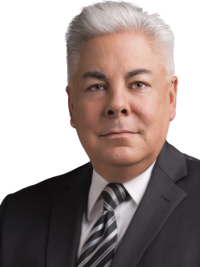 “The fact that we are potentially executing a man who did not have his day in court because an attorney screwed up should give everybody pause,” Keeton said. In a victory for the media and advocates of open government, a unanimous three-judge panel of the U.S. Court of Appeals for the Eleventh Circuit ruled on March 18, 2019 that Alabama must disclose key portions of its highly secretive lethal-injection execution protocol to the public. The Associated Press, the Montgomery Advertiser, and Alabama Media Group had sued for access to the protocol, which came under intense scrutiny in the wake of Alabama’s failed attempt to execute Doyle Lee Hamm (pictured) in February 2018. 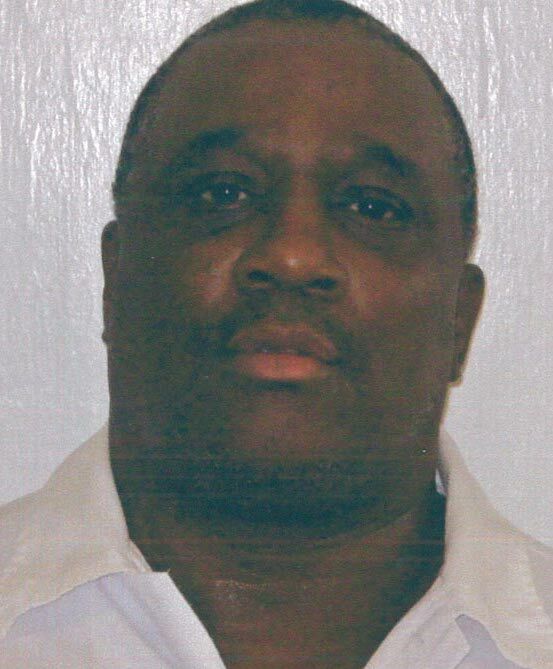 Hamm, who has terminal cancer, challenged Alabama’s execution protocol. He argued that his veins had been compromised by his illness and executing him by lethal injection would constitute cruel and unusual punishment. The courts permitted the execution to proceed after Alabama said it would not attempt to insert an IV-line in Hamm’s arms or upper extremities. On February 22, 2018, executioners tried and failed for two-and-one-half hours to set an intravenous execution line. Alabama Department of Corrections Commissioner Jeffrey Dunn called off the execution but told the media, “I wouldn’t characterize what we had tonight as a problem.” Dunn repeatedly asserted the state had followed its execution protocol and claimed the execution had been halted only because the late court rulings in the case did not leave corrections personnel sufficient time to execute Hamm before his death warrant would have expired. Hamm filed a federal civil-rights lawsuit seeking to prevent Alabama from attempting to execute him a second time. As part of that suit, he filed a doctor’s report—the only public document describing the circumstances of the execution attempt—that indicated execution personnel had unsuccessfully inserted IV needles more than 10 times into Hamm’s feet, legs, and right groin, causing bleeding in his groin, and likely puncturing his bladder, causing blood in his urine. Shortly thereafter, Hamm and the state reached a confidential settlement in which Alabama agreed not to seek another execution date, the court records of the case would be sealed, Hamm would dismiss his lawsuit, and Hamm and his lawyers would not disclose any additional information about the case. In the aftermath, the three media outlets filed a motion to gain access to the protocol and execution records. A federal district court ruled in their favor in May 2018. Alabama’s execution secrecy has been at the core of several other execution controversies. In December 2016, execution witnesses reported that Ronald Smith clenched his fists and gasped repeatedly for nearly fifteen minutes. After the execution, Dunn told the public only that the state had “followed [its] protocol.” State officials later refused to provide any documentation about the execution. In February 2019, late disclosure of its secret protocol provision mandating that a Christian chaplain—and no other religious adviser—be present in the execution chamber led to the controversial execution of Muslim prisoner Domineque Ray without affording him access to an imam at the time of his execution. 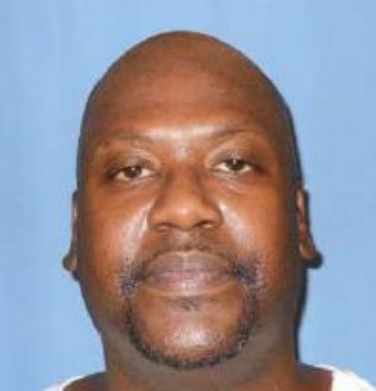 For the second time in just over one month, the United States Supreme Court has cleared the way for the execution of an African-American prisoner in the face of strong evidence of racial or religious bias. 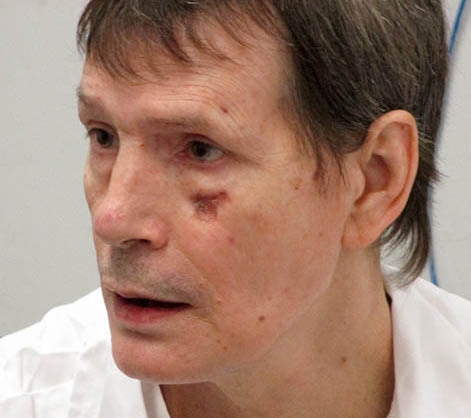 On March 18, 2019, the Court unanimously declined to hear an appeal from Georgia death-row prisoner Keith Tharpe (pictured), who argued his death sentence was unconstitutionally tainted by the participation of racist white juror who called him a “ni***er” and questioned “if black people even have souls.” That juror, Barney Gattie, signed an affidavit also saying that there were “two types of black people: 1. Black folks and 2. Ni**ers.” Tharpe, Gattie said, “wasn’t in the ‘good’ black folks category [and] should get the electric chair for what he did.” In February, in a decision that evoked widespread condemnation from critics across the political spectrum, the Court vacated a stay of execution for Domineque Ray, a Muslim death-row prisoner, after Alabama denied his request to have an Imam present at the execution in circumstances in which it provided a chaplain for Christian prisoners. Though agreeing on procedural grounds that the Court should not review the case, Justice Sonia Sotomayor issued a statement in connection with the Court’s action saying she was “profoundly troubled by the underlying facts of the case.” She wrote: “These racist sentiments, expressed by a juror entrusted with a vote over Tharpe’s fate, suggest an appalling risk that racial bias swayed Tharpe’s sentencing.” Justice Sotomayor said the latest decision “may be the end of the road for Tharpe’s juror-bias claim,” and the Court should therefore “not look away from the magnitude of the potential injustice that procedural barriers are shielding from judicial review.” "It may be tempting to dismiss Tharpe's case as an outlier, but racial bias is a familiar and recurring evil," she wrote. "That evil often presents itself far more subtly than it has here. Yet Gattie's sentiments—and the fact that they went unexposed for so long, evading review on the merits—amount to an arresting demonstration that racism can and does seep into the jury system." In January 2018, the U.S. Supreme Court ordered the U.S. Court of Appeals for the Eleventh Circuit to reconsider Tharpe’s case, acknowledging that Tharpe had “present[ed] a strong factual basis for the argument that [his] race affected Gattie’s vote for a death verdict.” However, the appeals court refused to review his discrimination claim, saying he had never presented the issue to the state courts. Tharpe sought review of that decision by the U.S. Supreme Court, and received support from a number of groups, including Catholic bishops and the NAACP Legal Defense Fund. In October 2018, the Washington Supreme Court unanimously struck down the state’s death penalty, finding that it had been “imposed in an arbitrary and racially biased manner.” In reaching its decision in State v. Gregory, the court relied upon a study of twenty-five years of Washington State capital prosecutions that demonstrated that Washington juries were 4.5 times more likely to impose a death sentence on a black defendant than on a white defendant in a similar case. The authors of that study, Dr. Katherine Beckett (pictured, left) and Dr. Heather Evans (pictured, right), join DPIC’s Managing Director Anne Holsinger in the latest episode of our podcast, Discussions with DPIC, to discuss their research and its impact on the court’s decision to strike down the state’s death penalty. Beckett and Evans describe the factors they examined at various stages of capital sentencing, the major results of their study, and the role social science research plays in policymaking. One of the most dramatic findings of the Washington study was that racial bias was rampant in the state’s capital sentencing outcomes even though there was no statistical evidence of racial discrimination in prosecutorial decisions on whether to seek the death penalty. 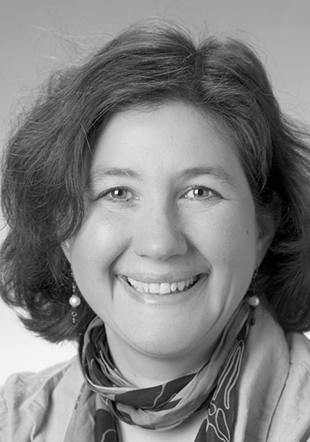 “The research literature has identified a number of factors that contribute to bias in decision-making outcomes by juries,” Beckett explained. “We know, for example, that implicit bias is pervasive and affects perception and decision-making. … The death-qualification process is also a contributing factor, so we know that people who are in favor of the death penalty are more likely to exhibit implicit and possibly explicit bias. By excluding people who don’t feel comfortable or are philosophically opposed to the death penalty, we amplify the implicit bias that exists in the general population.” They noted that “substantial changes” would have to be made to the process of jury selection in capital cases in order to reduce the effects of implicit bias. Despite the large number of death sentences in California, the state has conducted only 13 executions since reintroducing the death penalty in 1978. A 2011 study estimated the state had spent more than $4 billion on death penalty trials, appeals, and incarceration, and estimated an annual savings of $170 million if the death penalty were abolished. In his executive order, the governor said that the cost has since risen to $5 billion. In his remarks at the news conference, Newsom said that 164 wrongly convicted prisoners have already been exonerated from U.S. death rows since 1973, and an estimated 30 innocent prisoners may be among those still sentenced to death in California. In 2012 and 2016, voters narrowly rejected referenda that would have abolished capital punishment. In 2016, a voter referendum intended to speed up executions by limiting appeals passed by a two-percentage point margin. That measure, Proposition 66, was upheld but curtailed by a 2017 California Supreme Court decision. 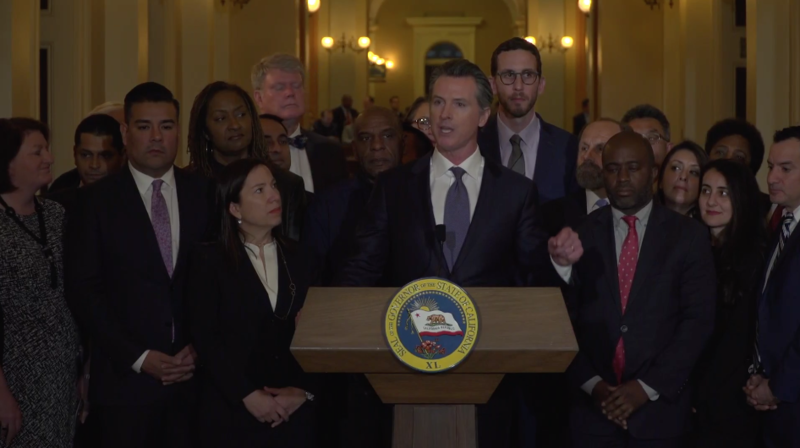 Governor Newsom follows the lead of governors in three other Western U.S. states who have imposed moratoria on executions in the last decade. Governors John Kitzhaber of Oregon (November 2011), John Hickenlooper of Colorado (May 2013), and Jay Inslee of Washington (January 2014) halted executions in their states, and Kate Brown of Oregon announced in February 2015 that she would extend the existing moratorium. Washington’s supreme court struck down the death penalty in October 2018 on grounds of geographic arbitrariness and racial bias, making it the 20th state to abolish the death penalty. Legislators in Colorado and Oregon are considering bills to abolish or seriously restrict the death penalty, and a Republican-backed bill to repeal the death penalty passed the Wyoming state House and a Senate committee earlier this year before failing in a vote before the full Senate. No state west of Texas carried out any executions in 2018, and those states collectively imposed the fewest new death sentences since California brought back capital punishment in 1978. Newsom said “[t]he intentional killing of another person is wrong” and that his moratorium was a first step towards the ultimate goal of ending the death penalty in California. Prosecutors also decided to drop the death penalty to end lengthy pre-trial delays in cases in Florida and Texas. After eight years of proceedings in what news reports described as Hillsborough County’s “longest-running murder case that has yet to see trial,” Florida state attorneys announced on February 4 that they would no longer seek the death penalty against Michael Keetly. Keetly had been in pretrial detention for nearly 3,000 days. 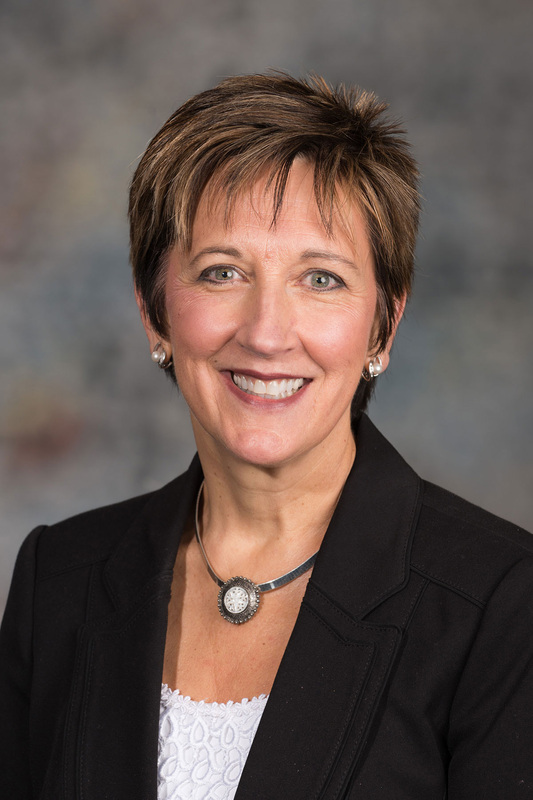 Keetly’s attorney, Lyann Goudie, said she had recently presented mitigating evidence to the prosecutors in an effort to persuade prosecutors that they were unlikely to obtain a unanimous vote for death, and had challenged the ballistic evidence and eyewitness identification the prosecution intended to present at trial. Following the prosecution’s decision, the case is now scheduled to go to trial in June. Todric Deon McDonald was charged with two counts of capital murder in McLennan County, Texas, more than four years ago. In 2018, with the case facing additional delays to permit the defense to prepare for a potential penalty phase, the victims’ families told prosecutors they supported withdrawing the death penalty if it meant the case would proceed to trial as scheduled. The prosecutors dropped the death penalty in August 2018 and jury selection began on February 11, 2019, after McDonald had spent 1,733 days in jail. McDonald was convicted three days later and sentenced to life without parole. A death-penalty trial requires extensive pretrial preparation, because defense attorneys have to conduct an in-depth investigation into their client’s life history and mental health to present mitigating evidence in the event their client is convicted. The longer pretrial period is one of many reasons why death-penalty trials are significantly more expensive than trials in which a death sentence is not an option. There is also a lengthy appeals process if a defendant is sentenced to death, and at that point, the most likely outcome is that the conviction or death sentence will be reversed. After controversial executions raised questions of government competence or misconduct, legislatures in two states have responded with bills taking sharply different approaches to the questions of government accountability and public oversight. 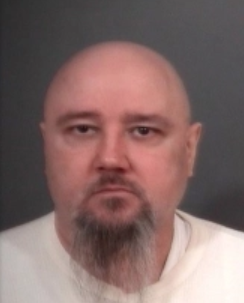 Following an execution in which Nebraska Department of Corrections officials closed the curtain on fourteen crucial minutes of the execution of Carey Dean Moore, the Nebraska Senate Judiciary Committee heard testimony on March 7, 2019 on a bill that would mandate that two legislators witness an execution and require that eyewitnesses be permitted to observe the entirety of an execution from the moment the condemned prisoner enters the execution chamber to the time death is declared or the execution is called off. 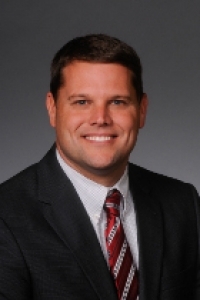 By contrast, an Arkansas state senator has responded to a lawsuit by pharmaceutical companies challenging widespread improprieties in the state’s procurement of execution drugs with a proposal that the state adopt the most extreme and punitive drug-secrecy law in the country. In Arkansas, a bill introduced in the state senate sought to further conceal the state’s controversial execution practices. On March 6, the Senate Judiciary Committee approved a bill sponsored by State Sen. Bart Hester (pictured, right), that would broadly exclude from public disclosure any documents, records, or information that could lead to the discovery of the state’s sources of execution drug or the identification of drug manufacturers or distributors. The bill also would make reckless disclosure of such information a felony. Arkansas’s conduct in procuring execution drugs, which led drug distributor McKesson Medical-Surgical to sue the state alleging that Arkansas had deliberately misled the company to believe that the drug purchase was for legitimate medical purposes, raised questions concerning the need for transparency in the execution process. Those questions were heightened following evidence of additional problems during executions with those drugs. After Arkansas state courts ruled that the state’s prisons must disclose portions of the pharmaceutical drug and packaging labels for the drugs it intended to use in executions, the Department of Corrections said it was suspending its search for new supplies of execution drugs until the legislature adopted even broader secrecy laws.